Weekend Historical Happenings: 4/20/13 - 4/21/13 ~ The History Girl! On Saturday beginning at 9:00 am, The Friends of Old Swack Church and cemetery grounds in Lebanon Township are sponsoring a cleanup of the grounds. Originally built in 1844, the church closed in 1894 and the grounds have been neglected, abandoned, and overgrown for years. The Old Swackhammer Church and Cemetery is located at 108 Anthony Road, Lebanon, NJ. Please bring rakes, shovels, gloves, clippers, chainsaws, and any other tools that you think may be helpful in clearing the grounds. Tell your friends and family about this opportunity to preserve a New Jersey historic site! 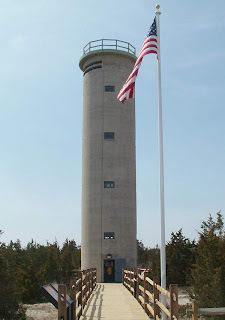 Join the Friends of the Cape May Lighthouse for a traditional pig roast to raise funds in support of educational interpretation of the lighthouse on Saturday from 3:00 - 7:00 pm. Moose Lodge, 569 Seashore Road, Erma. Entertainment by Twelve Strings. Admission is $20. Sponsored by the Friends of the Cape May Lighthouse, an affinity group of the Mid-Atlantic Center for the Arts & Humanities (MAC). For more information, call 609-884-5404 or 800-275-4278 or visit www.capemaymac.org. Friends of the World War II Tower present "Focus on Fort Miles and other World War II Atlantic Coast Defenses." Dr. Gary Wray, president of the Fort Miles Historical Association, and Dr. Terry McGovern, of the Coast Defense Study Group, who will discuss fortifications along the Atlantic Coast during World War II. This program will be held at the Cape May Lutheran Church, 509 Pittsburgh Avenue on Saturday at 1:00 pm. Become a Friend of the Tower and admission is free. Non-member admission is $5. Sponsored by the Friends of the World War II Tower, an affinity group of the Mid-Atlantic Center for the Arts & Humanities (MAC). For more information, call 609-884-5404 or 800-275-4278 or visit www.capemaymac.org. The Maple Shade Historical Society invites you to an Open House and Membership Meeting at Chesterford School located at 415 West Main Street, Maple Shade, NJ from 10:00 am - 2:00 pm. Emma Brooks, author of The Little Red School House in Maple Shade, will be present. For more information, please contact bettyann11@netzero.com. The D&R Canal Watch invites you to walk the D&R Canal Main Line from Baker's Basin to Alexander Road (4.9 miles). Meet at the basin parking lot on Alexander Road, just east of Princeton. Questions? Contact Bob Barth at 201-401-3121 or barths@att.net. The walk begins at 10:00 am. On Saturday and Sunday at 2:00 pm each day, the Historic Jersey CIty & Harsimus Cemetery is presenting "Inherit the Wind," a live theatrical performance by the Hudson Shakespeare Company, directed by Jon Ciccarelli. The benefit performance of this literary classic will benefit the ongoing restoration of New Jersey's very first Cemetery company. Sadly abandoned 5 years ago, the Historic Jersey City & Harsimus Cemetery is now a fully operational 100% volunteer operated mission, and open 7 days a week to visitors. With no regular income or funding, Volunteers are restoring this very special site through fundraising benefits that promote history, art, and music. All Doremus family descendants are invited to attend for Doremus family events such as family genealogy, meeting other family members, and covered dish lunch (bring a dish to share) Saturday. Parking is available in Sea Breeze Parking Lot across the street from the house. 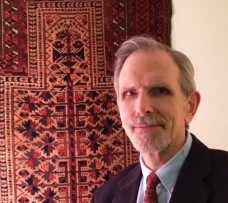 On Sunday at 4:30 pm, Macculloch Hall Historical Museum welcomes Oriental rug expert DeWitt Mallary to discuss the evolution of Oriental rug collecting in America over the past century or so, as well as discussing the Museum's rug collection. Macculloch Hall Historical Museum's collection was assembled by its founder, W. Parsons Todd. Todd joined the Hajji Baba Club, America's first rug collectors group, in 1933, shortly after the group began. Mr. Mallary will consider what rugs were available and considered collectible then, and throughout Mr. Todd's collecting period over the next several decades. He will also consider how tastes and preferences, supply and demand have affected the collecting of oriental rugs and textiles since then. Mr. Mallary will then discuss some of the rugs in the Museum's collection. This program will be presented in the main gallery where vivid examples of the antique Oriental rug collection are currently being showcased, complemented by textbook examples of fine porcelain, silver, glass and furniture collected by Museum founder, W. Parsons Todd. The "A Fine Collection: Treasures from the Vault" exhibit has a perimeter layout which leaves the center of the room open for a series of speakers and musical programming taking place in conjunction with the exhibit. Tickets for Sunday's program will go on sale at 1:00 pm that day. No advance sales. The presentation begins at 4:30pm. House tours (regular admission applies) take place throughout the afternoon and the last tour leaves at 3:00 pm. The upstairs galleries will remain open until 4:30 pm, with the "A Fine Collection" exhibit closing at 3:00 pm in preparation for the program. Tickets to hear speakers are Adults $8; Seniors & Students $6; Children 6 - 12 $4. Members and children under 5 are free. Speaker tickets include admission to take part in a house tour through the period rooms of the Museum for visitors who sign up for a tour during the afternoon. Visitors can also enjoy the "Thomas Nast: President Maker and Campaign Breaker," and the "American Heroes in Bronze" exhibits prior to the presentation. Galleries close at 4:30 pm. Macculloch Hall Historical Museum preserves the history of the Macculloch-Miller families, the Morris area community, and the legacy of its founder W. Parsons Todd through its historic site, collections, exhibits, and educational and cultural programs. The Museum is open for house and exhibit tours on Wednesdays, Thursdays & Sundays from 1:00 - 4:00 pm. The last tour leaves at 3:00 pm. Adults $8; Seniors & Students $6; Children 6 - 12 $4. Members and children under 5 are free. The gardens are open (free of charge) during Museum hours. For more information, call 973-538-2404 ext. 10 or visit www.maccullochhall.org. Macculloch Hall Historical Museum is located at 45 Macculloch Avenue, Morristown, NJ. The Scroll & Pen Bookstore at Brookdale in Lincroft is pleased to announce a new lecture series, Monmouth Moments, featuring stories and images of Monmouth County, past and present. The second installment of this series includes a visit from historian Tom Gallo of the Keyport Historical Society on Sunday from 1:00 - 3:00 pm in the Warner Student Life Center on the Brookdale Campus. 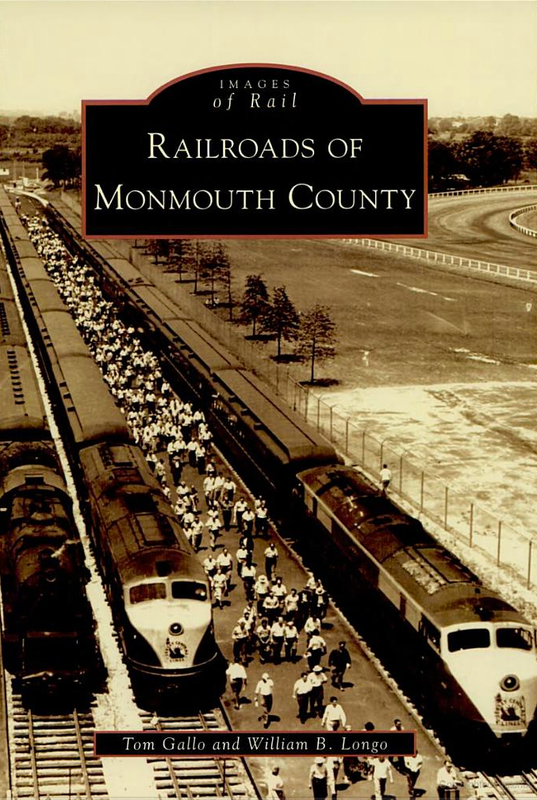 Gallo will be sharing his knowledge and history of the railroads of Monmouth County. Copies of Gallo's publications, Railroads of Monmouth County and Henry Hudson Trail: Central RR of NJ's Seashore Branch will be available for purchase and signing by the author. The Heritage Trail Association invites you to join Linda and Bob Barth, canal enthusiasts, on a bus tour of the Delaware and Raritan Canal, one of Somerset County's historic treasures. You'll visit locks, bridges, and other structures along the canal and learn how the canal was built by local workers and immigrants. The tour will visit some of the picturesque villages that grew up alongside the canal, and you will learn about the many industries that developed along its route. This is a perfect outing and a unique educational experience for the entire family. The bus tours will leave from the JP's Steakhouse/Rhythms parking lot, 729 South Main Street (Route 533), Manville (corner of the Weston Causeway, Route 623). The cost is $20 for adults and $10 for children 14 or under. Reservations are required. Call 732-356-8856 for reservations or sign up online at www.heritagetrail.org. Please indicate your preferred time: 10:00 am or 2:00 pm. The Circus is Coming to Town at the Burlington County Historical Society! Join them on Sunday from 2:00 - 4:00 pm for the "Hunt Bros. Circus. "vThis special program by Richard Flint, past president of the Circus Historical Society and lecturer at Johns Hopkins University, features amazingly colorful circus posters and behind-the-scenes photographs to tell the remarkable story of the circus in America with a special feature on the Hunt Bros. Hunt Bros. had its winter quarters in Florence, NJ. Children in kindergarten through 5th grade are invited to the Schoolhouse Museum on Sunday to learn about quilt making, design a quilting square, and listen to a story about quilting read by Mrs. Diorio, Willard School Librarian, and guest readers. Children will have the opportunity to see the museum's current exhibit, "The Collection," featuring woven coverlets and handmade quilts. Children's Day at the Museum will be held from 2:00 - 4:00 pm. Stories will be read at 2:15 and 3:15 pm. Children must be accompanied by an adult. A donation to support the museum's operating budget of $3 per child, $5 for an adult, or $10 for a family is suggested. The Schoolhouse Museum is located at 650 East Glen Avenue in Ridgewood, NJ. For more information about Children's Day, e-mail info@ridgewoodhistoricalsociety.org or visit www.ridgewoodhistoricalsociety.org. Bill Agress of Lawrenceville has been an educator and re-enactor for over 30 years. One of his many historical characters is Albert Einstein. Bill's first-person interpretation of Prof. Einstein features little-known facts about the professor's connection to Bordentown, his family life, hobbies, and books he enjoyed as well as his scientific work. The Lambertville Historical Society will host Sharon Bisaha as she discusses her book on Lambertville in the Victorian Era on Sunday. Sharon Bisaha, former president of the Lambertville Historical Society, will present a talk outlining her process of discovery and some of the gems from her book, In the Beacon Light, Lambertville, NJ 1860 to 1900, from 2:00 - 4:00 pm at the Pittore Justice Center (Acme), 25 South Union Street, Lambertville, NJ. A book signing will follow. Ms. Bisaha's work, drawn from the pages of the The Lambertville Beacon, provides views of most aspects of life in town during this period of intense development and growth. The program is open to all and admission is free. For more information visit www.lambertvillehistoricalsociety.org, e-mail info@lambertvillehistoricalsociety.org, or leave a message at 609-397-0770. The Lambertville Historical Society promotes, inspires and encourages the preservation and appreciation of Lambertville's architecture and history through education, community involvement, and preserving and maintaining the James Marshall House Museum. Before motor cars and highways opened up the Jersey Shore for day trippers and vacationers, the Sewaren section of Woodbridge Township was a recreation destination for the region. Accessible by train, trolley and boat and boasting the luxurious Sewaren Hotel, beaches, bathhouses, dancing pavilion, picnic grove, Boynton Beach's bamboo slide, merry-go-round and Ferris wheel, and fishing and boating off Cutter's Dock, Sewaren attracted relaxation seekers from New York City, central Jersey and the surrounding areas. Little remains of the resort but many of the age's lovely Victorian homes still line Cliff Road. Please join the Woodbridge Township Historic Preservation Commission in Sewaren on Sunday for their 4th Annual Walking Tour of Historic Places. Additional information and registration form can be found on the Commission's website www.wthpc.org. The craft of quilling, also known as paper filigree, may not be well known today, but it is a very old art form that some say originated in ancient Egypt. More established history says that it was first practiced around the 15th century by European nuns who rolled handmade paper into intricate designs to decorate religious artifacts. The craft was revived as a decorative art in 18th century England by ladies of fashion who used it to embellish such items as boxes and screens, and then brought to the American colonies. On Sunday from 2:00 - 4:00 pm, this quilling program features this lovely art with demonstrations and a children's craft. Lambert Castle, the Victorian-era mansion located on the Garrett Mountain Reservation on the border between Paterson and Clifton, will be home to an exciting new art exhibit now through April 28, 2013. The exhibit, entitled "Message in a Bottle: The Bottleworks of Dr. Etta Ehrlich," will feature Dr. Ehrlich's unique and thought-provoking take on society and culture, using carefully-arranged antique bottles and other found objects. The exhibit will be open until April 28 during regular museum hours: Wednesday through Sunday, 1:00 to 4:00 pm. Lambert Castle is located at 3 Valley Road, Paterson. For more information, call 973-247-0085 or visit www.lambertcastle.org.